Purchase one pack of 5 patches. One time cost + shipping and without membership. 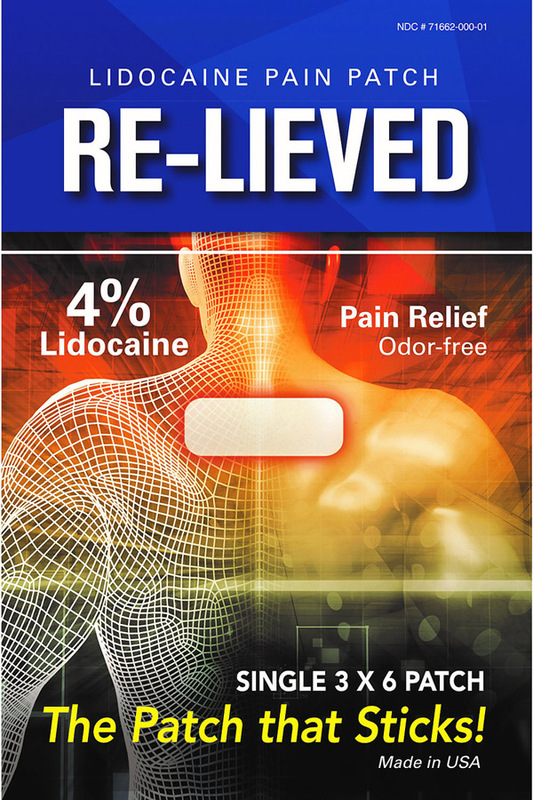 Re-Lieved manufactures and sells premium quality 4% lidocaine patches specifically designed to effectively manage pain. Re-Lieved is a subsidiary of Transfer Technology Inc. Transfer Technology Inc. has been in the medical device manufacturing business for over 30 years designing and manufacturing electrodes and EKG equipment. We are US based, located in Huntington Beach, CA. Our products are 100% manufactured in USA. We have customers all over the country and all over the world. 6 weeks out from shoulder surgery, did pushups for the first time yesterday and woke up extremely sore. I put on the Re-Lieved patch to relieve soreness, and my shoulder now feels better than it did prior to the workout. These are the best! My son was complaining about a sore spot on his lower back. We tried a couple of different topical products with mixed results. The lidocaine patches seem to work the best. We tried some of the other brands but those patches just didn’t stay on for more than a couple hours, Very annoying!! These patches stick for the full 12 hours and more even after a shower!! The Re-Lieved Lidocaine patch really works. I was skeptical at first, but I soon discovered that they are very helpful. I apply them to my knees daily, and I am actually able to run errands without my cane. I recommend the Re-Lieved Lidocaine patch to anybody suffering from extreme pain. I have been a chronic low-back pain sufferer for many years after an auto accident. I have taken an array of over-the-counter and prescription medications, tried topical products, TENS therapy and even steroid injections. Recently, a friend noticed I was in a great deal of pain and offered me a Re-Lieved Lidocaine patch. In a short time, the pain decreased to a very manageable level. I have now added Re-Lieved Lidocaine patches to my arsenal of pain relief products. As a fibromyalgia sufferer, I have many trigger points that flare up in extreme pain, especially when I am in stressful situations. Sure, I have to take medication to ease the pain, but when I place the Re-Lieved Lidocaine patches on the trigger points, they really help manage the pain. My husband recently hurt his back while working in the garden. I placed a patch on his back, and he was surprised at the relief he experienced. The patches work like magic to relieve the pain in my lower back. I use them almost everyday and my back pain is almost gone! It was an easy and convenient way to reduce my pain. With 4% Lidocaine, our patches are guaranteed to alleviate your discomfort in no time.